LaSalle Network is an award-winning staffing and recruiting firm based in the Chicagoland area. We work with companies in all industries to help them staff for a variety of positions in the professional services fields. 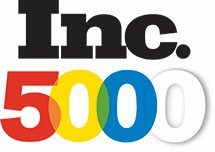 Due to our success placing thousands of candidates at a variety of companies, we were recently recognized as an Inc. 500/5000 fastest growing private company for the 11th year in a ROW!! We are now looking for an eager Interim Controller who is interested in working at any of our prestigious clients in the Chicagoland area. If you are looking to grow your career in a short- or long-term Interim Controller opportunity with competitive pay, please see below responsibilities! If you are qualified and interested in Interim Controller position, please apply today!